Anyone! As long as there are no more than 2 adults (16+ years) and a minimum of 3 people. Therefore a family rate could be 1 adult (16+ years) and 2 children (3-15 years old) or 2 adults and 1 or 2 children (3-15 years old). 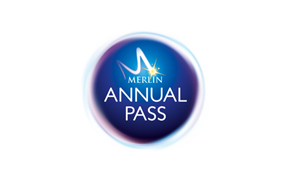 Please be aware children under 3 do not require a Merlin Annual Pass as they receive free entry into the majority of our Merlin Entertainments attractions.